Fans of the Nepean Hotspurs don’t just focus all their attention on what is happening at the moment when it comes to what this excellent soccer club has to offer. Many have become fans because of some event that took place in the past. It does well for fans to take a walk down memory lane once in a while as it helps to reinforce why they have chosen the Hotspurs as one of their favourite soccer clubs. This is taking some of the younger fans back to days when they may have been too young to have an interest in soccer. But, for the Nepean Hotspurs club, this was a significant year. 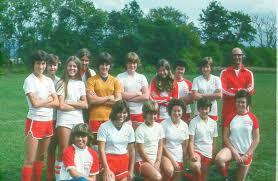 It was the year when the club formed their first Hotspurs Girls team. It was just as exciting for the young ladies who had a great desire to participate in this sport as it did for the team itself. The Nepean Hotspurs soccer club has always been a club that is sensitive to all age groups when it comes to their passion for the game of soccer. It recognised that many young people were developing a love for the game at an early age. To accommodate them and perhaps groom them for the future as soccer players the club formed the Hotspurs Chickadees in 1989. If one really wants to turn back the clock to look at past memories as an avid fan of today, then it would mean going back more than forty-five years to review the birth of this impressive soccer club. It would be a time of reflection as to just how far this club has come. Their focus has been equally divided on both recreational and competitive gameplay. They have been the club who produced impressive players such as Lyndon and Charmaine Hooper and Kristina Kiss. Fans are important for a soccer club. Even if a club only supports recreational soccer having fans on the sidelines is important to the team. But, for those clubs that offer both recreational and competitive soccer play, fans are all the more important. This means that clubs like the Nepean Hotspurs have to know what the wants and needs of their fans are. This particular club has a good fan following which is a clear indicator that they are tuned in to what their fans want. Of course, the majority of fans want their soccer club to be winners of every game they participate in. But, they want more than that. Fans want to see good team play and they want to see each and every player play to their most potential. When they see this they are more apt to support the club even if the club is experiencing losses, or goes through a bad period. Fans also like to see proper choices being made in the formation of a team. This means the team has to have a good try-out program in place. This way fans know they have something to look forward to in upcoming seasons. Another important factor for fans is they like to stay informed. They want access to what is going on with the team. In this respect, they can rely on resources like local sports news as well as the club website. When it comes to the games the fans want easy access to them. When it comes to competitive games fans know that a certain number of these will be played on the road but there will also be a significant number of home games. When it comes to the Hotspurs many of their fans are appreciative of the focus on soccer education and training that this club offers. There are many different components of a soccer club that a fan will consider. 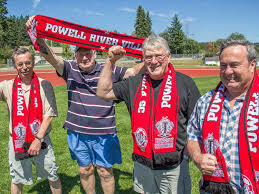 When it comes to the Nepean Hotspurs, their fan base is most pleased with what this club has to offer. One of the notable factors is the level of team play that is so evident in the teams that make up this club. Every coach of a soccer team will emphasise the importance of team play which holds true for the Hotspurs coaches. Being Reliable: Every player must realise they play an important role with their team. As such, other team members will rely on this. If a player is not reliable, then it affects the team as a whole. This reliability is not just applicable to when on the field but off it as well. Communication: A team player has to be able to communicate with all members of the club. Not just the teammates but to coaches and management as well. A player who cannot converse with their teammates means that the others are not able to talk with a player and this makes them feel frustrated and uncomfortable. Going the Extra Mile: Some expectations are placed on every individual team player. But, those players that stand out with their teammates are the ones that are willing to go the extra mile. For example, a player that is willing to listen to the concerns of another player. Or, to help a player over a weak spot. Then be understanding when a player may be struggling. 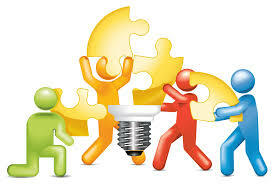 Being Active: It is essential that a team player knows how to participate. There are some players who do take on a more active role, but they have to be sensitive to the positions that each team member takes on and respect these. Team players can offer constructive criticism, but they cannot be judgemental.